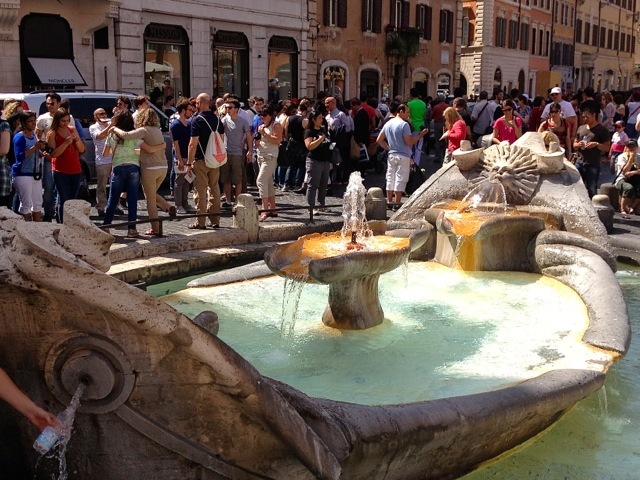 When to eat, what toilets to visit…and Bernini’s biggest rivalry revealed in stone! On Paolo’s tour of the Piazza di Spagna area, we learned a little bit about dining in Rome, and then we got to the real meat (for me) of the tour: a delicious discussion of my 400-year-old boyfriend, Gian Lorenzo Bernini, and his bitter rivalry with another artist and architect, Francesco Borromini. But first, food…. 1. Avoid eating like a tourist. The Romans, Paolo tells us, dine at fairly specific times. 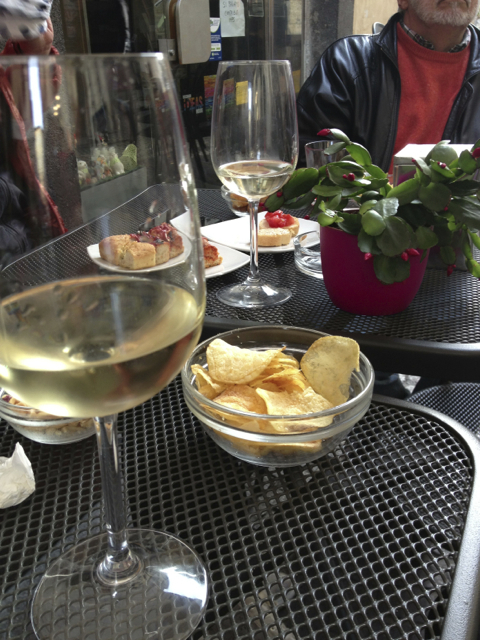 True Italians eat lunch between 1 and 2:30 p.m., have their aperitivi (beverages and small snacks, like olives, potato chips, formaggio) around 5:30-6 p.m., and dinner around 8:30-9:30 p.m. So, all the people sitting at cafés at three in the afternoon on the quaint, cobblestone streets around Piazza di Spagna are almost certainly tourists. What’s more, at the off-times, the food is different—and not as high quality—as that served during the Roman lunch or dinner hour, when the restaurants whip up their best meals. For those tourists sitting down for a late lunch at 3 p.m. (of which I’ve been one, many times—guilty! ), the food is often second-tier. Oops. For a good, traditional Roman meal, Paolo directed us to Trattoria Otella alla Concordia, which lies beyond the madding crowd. This is a real Roman restaurant—the kind of place the locals frequent, and when we walked by, at around 3 p.m., it was deserted. The restaurant has been family run for 70 years, but goes back as far as the 1700s, when it was an inn that hosted artists, novelists and poets. 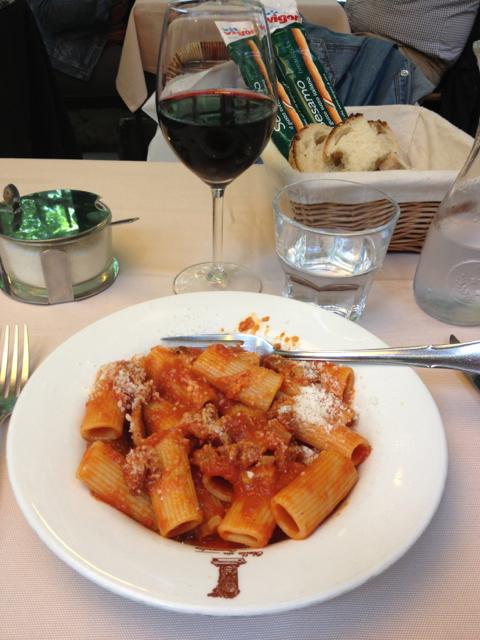 I went back a few days later for a delicious lunch of rigatoni all’amatriciana. Buonissimo! Rigatoni all’amatriciana at Trattoria Otello alla Concordia. You can check out their menu here. 2. 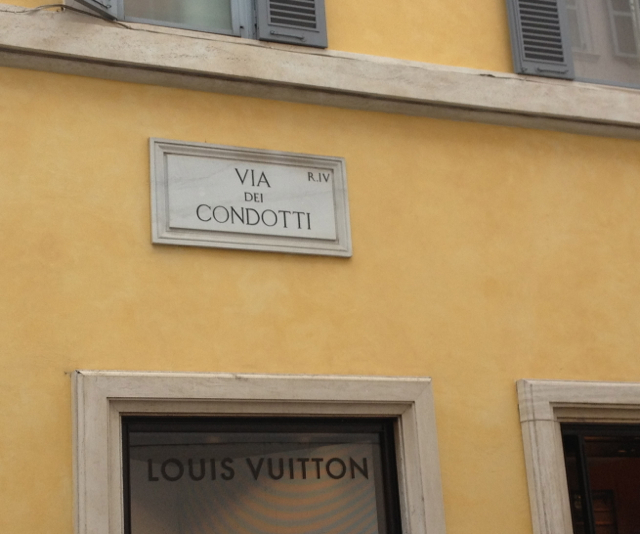 How Via dei Condotti got its name: Condotti means “channels” or “ducts” in Italiano, and underneath Via dei Condotti are pipes that carried the water to the Baths of Agrippa. Today, there are still pipes beneath the street that carry water to parts of Rome, like Piazza Navona and Campo dei Fiori. 3. 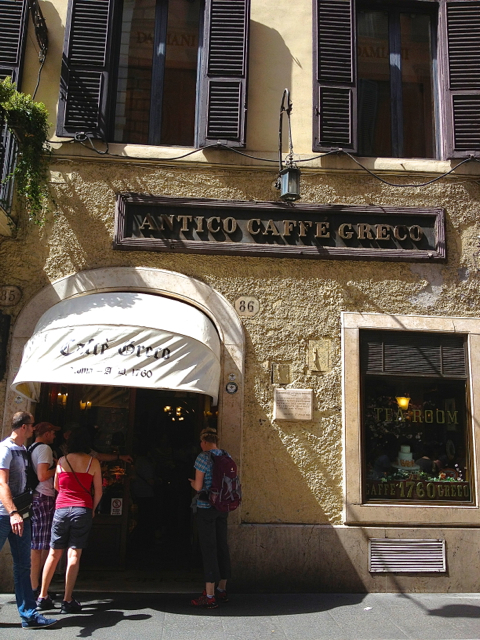 Rome’s oldest coffee bar is Caffé Greco, operating since 1760, at Via dei Condotti, 86. Artists and writers like Stendhal, Keats, Shelly and Casanova enjoyed a coffee here. One tip from Paolo: Order a coffee at the bar inside to the right of the front door (if you can make it through the crowd), and then walk back through the café to use the toilets—it’s a good way to see the place without paying the exorbitant prices charged at the tables (although your coffee will be served in white-gloved fashion by elegant waiters, if you choose to pay). 4. 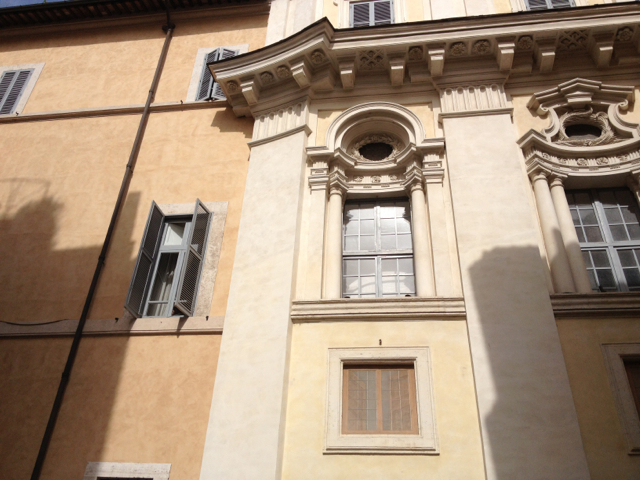 Bernini vs. Borromini, the big rivalry, summed up in one building. Now, the really good stuff! Pope Gregory XV founded the Sacra Congregatio de Propaganda Fide, or the Sacred Congregation for the Propagation of the Faith (how’s that for a mouthful?) in 1622 as a center where the Church arranged missionary work. It was, and still is, based in Palazzo Ferratini. Pope Urban VIII developed the site into the Collegio di Propaganda Fide, for training missionaries, and in 1634 he commissioned Bernini to build a chapel and spruce up the palazzo. Bernini got started, and the façade is a Baroque design that is more restrained than might be expected; with classical lines, it stands with quiet dignity along Via di Propaganda and looks out over the edge of the Piazza. 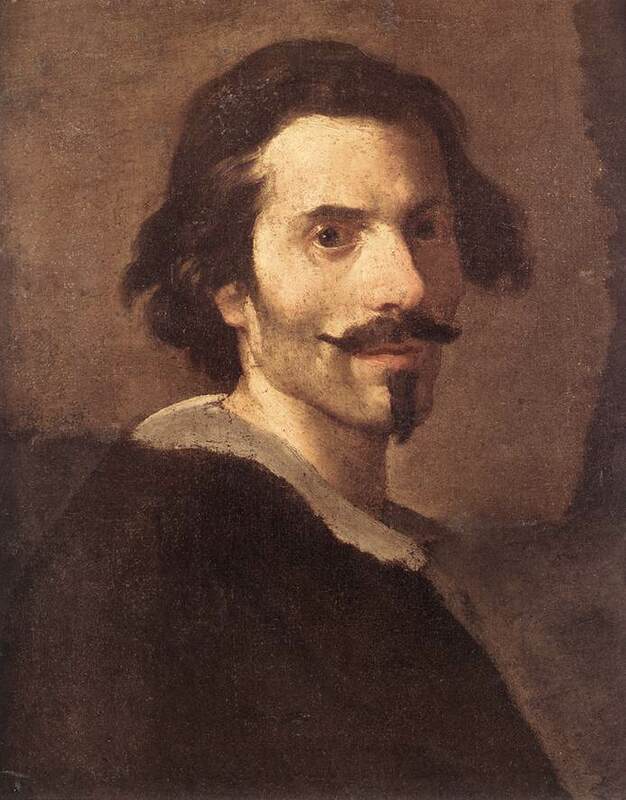 But Bernini really wanted the commission to work on St. Peter’s, and when that finally came through, he abandoned the Propaganda building and left it to his rival, Francesco Borromini, to finish. Paolo, a fount of information on Bernini, walked us around to the side of the building where you can see visible evidence of how the two men’s perspectives on the Baroque, and their philosophies regarding life and politics, diverge. Bernini, as I wrote in an earlier post, was a consummate politician and courtier—earning the respect (and commissions) of popes and keeping them happy by always saying the right thing (or sometimes saying nothing, which turned out to be the right thing!). 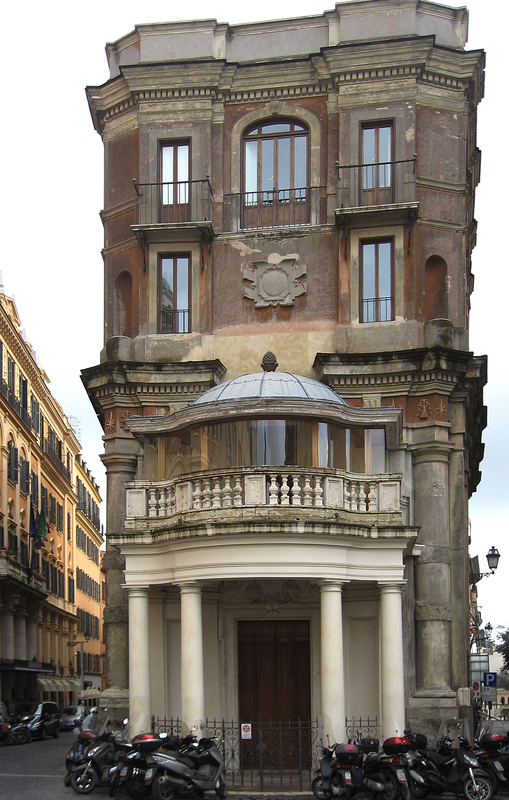 Borromini, on the other hand, was more emotional, could be histrionic, and ultimately committed suicide. He had the stereotypical artistic temperament. Here, you see where Bernini’s work ends and Borromini’s begins. Bernini believed art should express reality—his sculptures reveal this, especially—they are so lifelike the marble looks as soft as human flesh. In his architecture, in this case, Bernini opted for a celebration of rationalism—organized, restrained, where every line makes logical sense. His philosophy of religion (and, perhaps, life), said Paolo, was, “If I follow the rules, I’ll go to heaven.” Full stop. Borromini, on the other hand, was more of a mystic. His emotional philosophy tended more toward, “Please save me! Hey, I’ll try this with my building! Do you like it?” His eventual arrival in Heaven was not, for him, destined merely by following “the rules.” Salvation had to be earned, and was not determined by a clear path. Borromini’s part of this palazzo, therefore, looks like a separate building. Not only did he use different materials, he also created round windows, and added pilasters and architectural flourishes that are nowhere to be seen in Bernini’s design. As much as I love my boyfriend, Borromini’s part of the palace is more fun to look at, I think! 5. Palazzos can move—literally! The final “secret” Paolo shared with us is this: When Via Nazionale, a main street that connects the main train station, Termini, with the city center, was built at the end of the 19th century, the street passed through parts of Rome where numerous palazzos sat. So what did they do? They moved them out of the way! It must have been quite the enterprise, but instead of destroying the structures to make way for modernity, the palazzos were lifted and moved back, to make room for the street. What a feat of engineering! Ciao! Katie Parla, an American who’s been in Rome for 10 years, she’s a restaurant critic and writer who contributes regularly to the New York Times and works with other women in Rome to produce The Rome Digest, an online magazine about food, wine and happenings in Rome. She has an app: Katie Parla’s Rome, which I’m finding invaluable (available on iTunes). 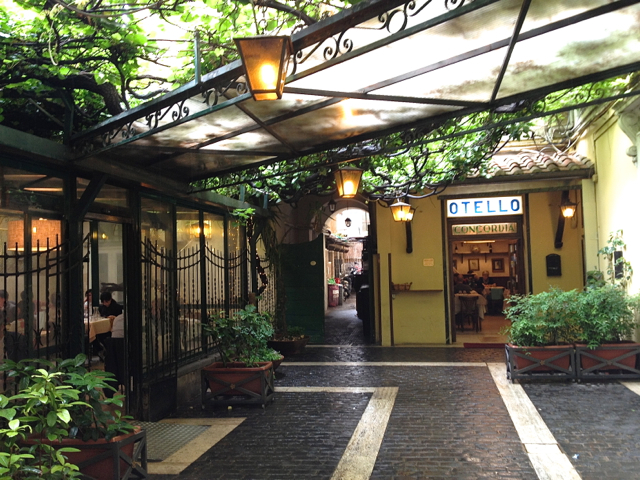 Rachel Roddy, a British writer, blogs about food from Rome. Her recipes are irresistible and they’re helping me (a non-starter in the kitchen) improve my cooking! Check out her blog. Hande Leimer, a Turkish sommelier, hosts wine tasting events through her company, Vino Roma. She’s incredibly knowledgeable and experienced and her tastings are not to be missed! She works with Katie Parla on The Rome Digest. Elizabeth Minchilli, an American who’s lived in Rome for years, writes about food for numerous publications and on her website, Elizabeth Minchilli in Rome. She also has an app: Eat Rome. Simran Sethi, an American who’s in Rome researching a book on the biodiversity of seeds is one of the most impressive women I’ve met here. She’s an expert in her field and if you want to learn more about her work, check out her website. There’s so much to learn in Rome that it can be intimidating when I think about all I don’t know. But as the Italians tell me so often, especially when I stress out about not being able to speak, “Piano, piano!” Slowly, slowly…. So, every chance I get to absorb some new info about the city and its history I’m grateful, and concentrate fiercely on trying to remember it all. After Italiano class one day this week, my school, Italia Idea, offered a two-hour walking tour around the neighborhood where it’s located, near the famous Piazza di Spagna. Our guide, Paolo, is one of the teachers and an official tour guide (in Italy, becoming a registered tour leader isn’t easy; it requires taking difficult oral and written exams). 1. The walls have ears, and here the doorways scream. The Palazzo Zuccari is an odd building designed at the turn of the 16th century by Federico Zuccari, an artist from Urbino (his frescos can be found in the Santa Maria del Fiore church). He built the palazzo to celebrate artists. Looking at the building from the front it seems a nice, old palace. It changed hands several times and during the mid-1600-1800s—the period when upper class Europeans took a Grand Tour—it became an inn that hosted artists like Joshua Reynolds and Jacques-Louis David. Paolo informed us that the palazzo originally had an amazing view across what were rolling hills and gardens that descended down to what is now the Piazza di Spagna. Where this palazzo gets a little odd, however, is when you walk around and look at the side of the building, where an entrance and a couple of windows are framed by screaming, open mouths. 2. The Spanish Steps are both “modern” and “natural.” At least that’s how Paolo describes them—and when a country’s history extends back more than 2000 years, steps built in the 1700s seem new. 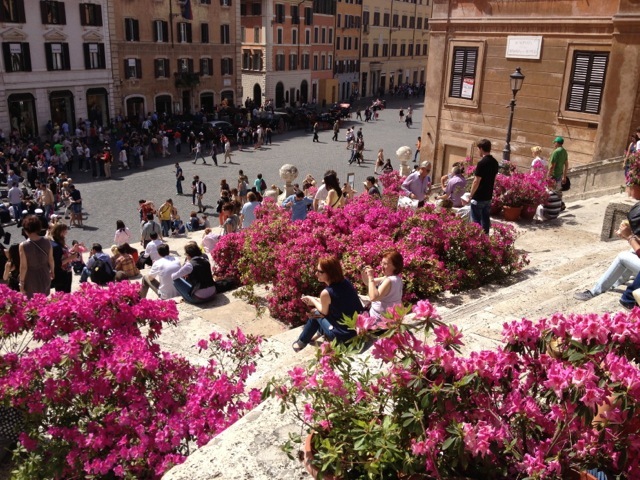 From the Palazzo, we walked by the Trinità dei Monti church and started down the Spanish Steps. In the 15th and 16th centuries, the area around what is now Piazza di Spagna was considered the center of Rome. There were a few bustling streets where commerce happened, and the area was home to several grand palazzos, surrounded by countryside or gardens. 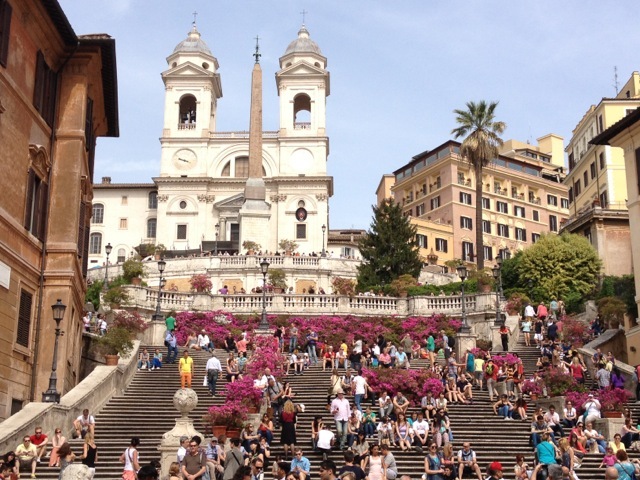 What we know as the Spanish Steps didn’t exist until the 1720s, when they were built to follow the natural flow of the land and hills around the piazza. 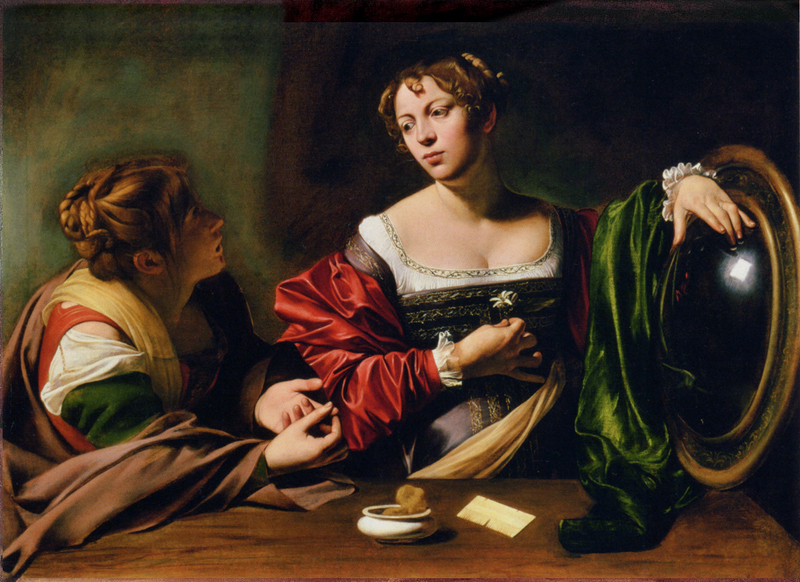 They were meant to be organic and naturalistic, a favorite theme of the Baroque. So if you really look at the steps, all 138 of them, you can see how the architect, Francesco de Sanctis, designed them to flow down the hill from Trinità dei Monti, following the shape of the land. At different points of the year, the steps are covered in flowers—today the Bougainvillea is bountiful. 3. Rome is a dual capital. More Italian politics: Rome is not only the capital of Italy, it is also the capital of Vatican City. The church is its own city-state. In fact, it’s the smallest internationally recognized independent state in the world. 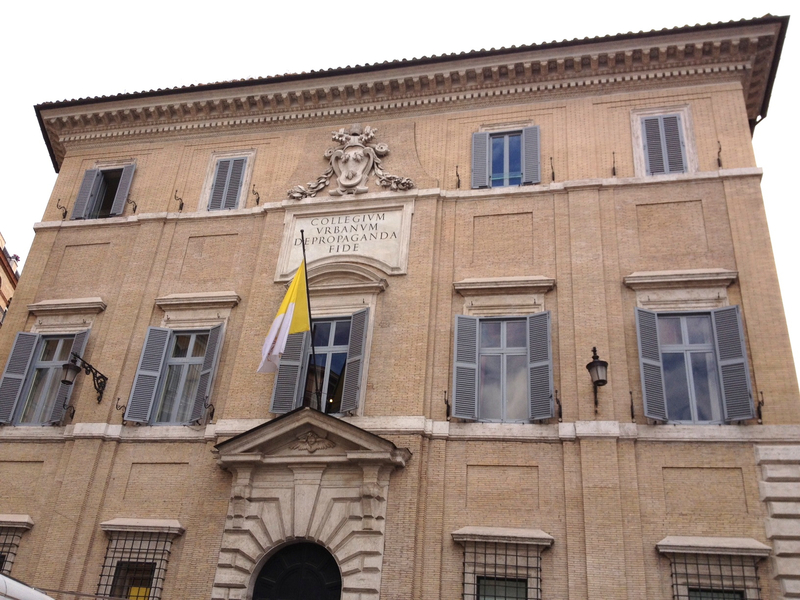 And as Paolo informed us, all countries with representatives in Rome actually have two embassies, one for Italy and one for the Vatican. 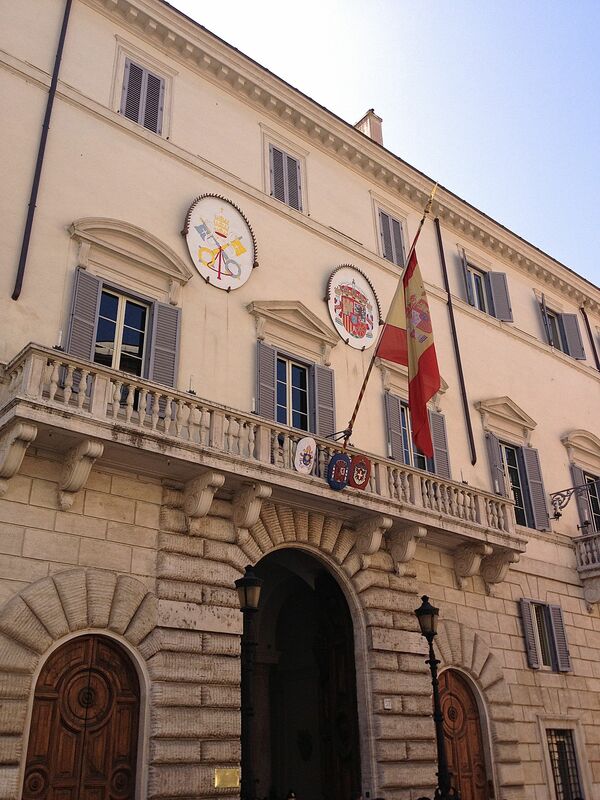 One of the palazzos in the square is the Spanish Embassy to the Holy See, and it’s from the embassy that the piazza takes its name. In the 17th century, the area around the embassy was considered Spanish territory. 4. That boat fountain tells a true story. 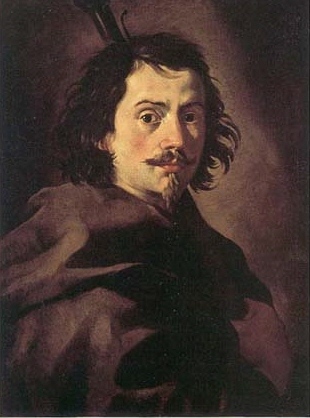 Bernini first learned to sculpt at the feet of his father, Pietro Bernini. 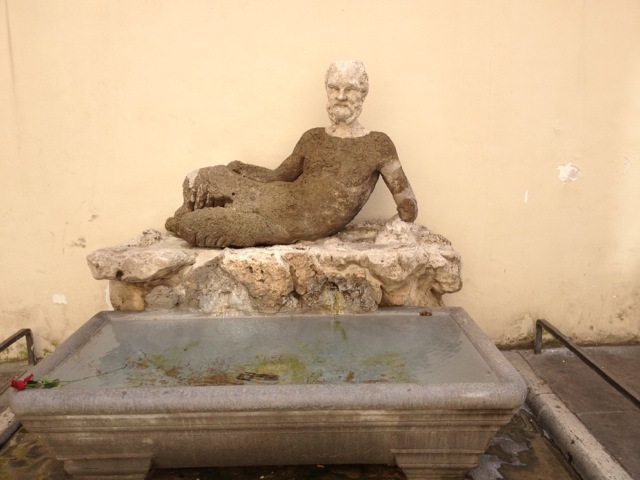 Pietro earned a commission from Pope Urban VIII to create the Fontana delle Barcaccia in the middle of the Piazza. Bernini the Elder reportedly took his inspiration from the flooding of the Tiber in 1598 (incidentally, the year my Bernini was born), when a small boat actually did get stranded in the area. 6. Talking statues. No, not the models I mentioned above. 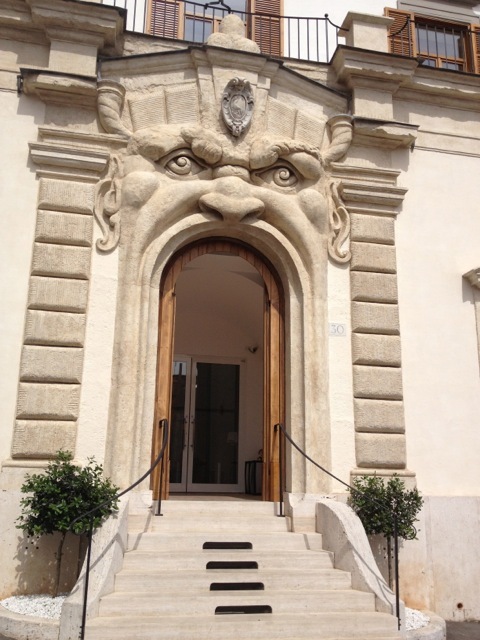 Throughout Rome, and on our walk we passed by the Café Canova Tadolini at 150 Via Babuino. (I’ll check out the restaurant in future—you eat among the statues.) Outside, sits a statue that perhaps gave the street (Babuino means baboon) its name, because the reclining figure ain’t so pretty. The statue is one of several around Rome where citizens would come to leave notes complaining about things they would never be able to out loud: “My taxes are too high!” “The Pope doesn’t give us enough bread!” Back in Bernini’s time (and before…and after), Romans had to guard their tongues (see my earlier post on “dissimulation”). If they spoke against the Church openly, the punishments were harsh and sometimes deadly. But these statues provided one outlet for the frustrated to voice complaints—and so they were called talking statues. 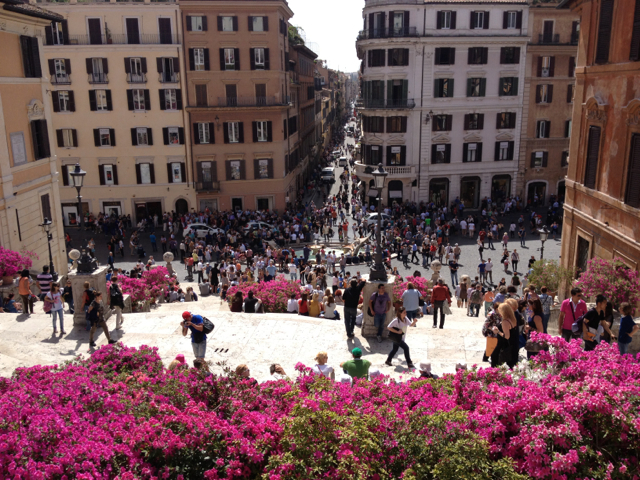 Stay tuned for Part II of the walk around the Piazza di Spagna….